Christmas is such a great time for taking pictures! 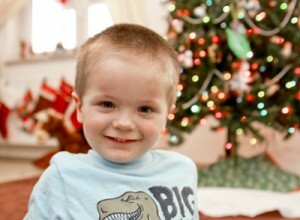 Here are a few ideas that you might like to try to create some great photos for Christmas. 1) Take pictures with a ball ornament. This is a pretty fun idea. You take a picture of a glass ball ornament and you can see the scene in the reflection. You can have a lot of fun with this and be creative as you want. 2) Take a Christmas tree bokeh shot. Bokeh is basically the light in the out of focus area of a photograph. To achieve this look you will want to use a low f-stop such as f1.8 or f2.5. I usually try to do it with the lowest stop on my lens. Even if you have a point and shoot you might be able to do this. Some point and shoots do have a way to change the settings. 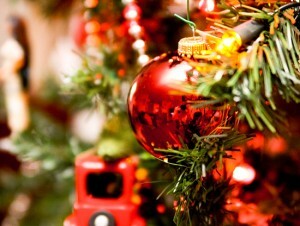 Focus on your subject and make sure the Christmas tree lights are in the background. 3) Black and white Christmas pictures. 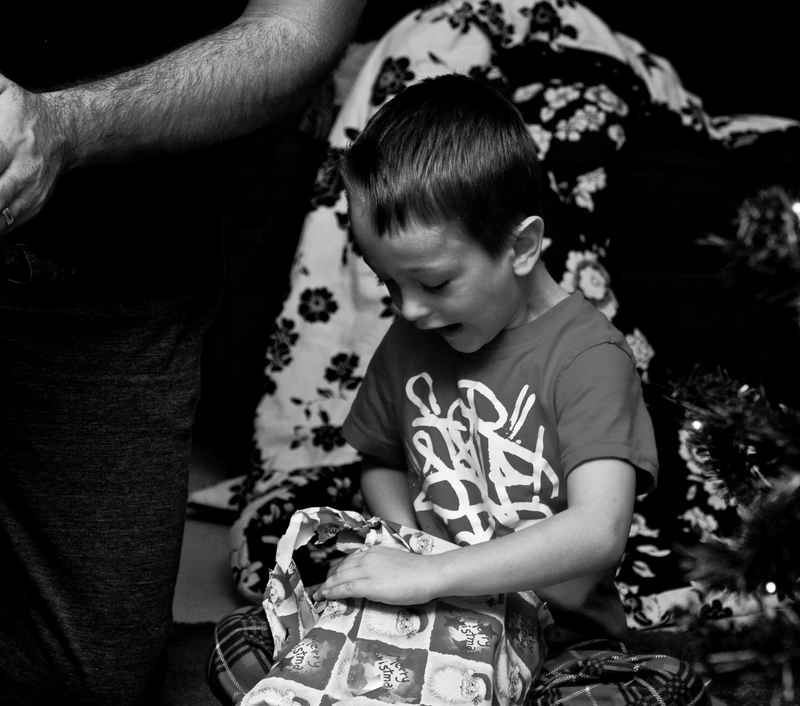 I love to make some of my pictures from Christmas morning black and white. It makes your pictures appear a little more classic and magical.